MILLION DOLLAR QUARTET - the Tony Award-winning Broadway musical and West End smash hit embarks on its first ever UK Tour, and reveals casting for the red-hot rock ‘n’ roll extravaganza which arrives at the King's Theatre in Glasgow from Monday 14 - Saturday 19 November. 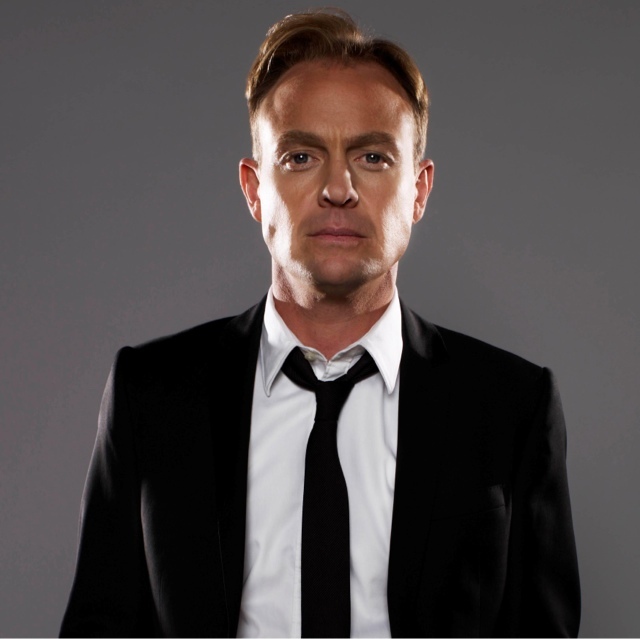 Jason Donovan is cast as legendary record producer Sam Phillips - the man who brought the four recording stars together to create music history. Jason has an impressive musical theatre background, including leading roles in The Rocky Horror Show, Chitty Chitty Bang Bang, Sweeney Todd and most famously, Priscilla Queen of the Desert. A household name, Jason was launched to stardom appearing as Scott in the hit Australian soap opera Neighbours. His hugely successful pop career has seen Jason sell millions of albums and top the charts worldwide. He is currently visiting venues around the UK with hisTen Good Reasons and Greatest Hits tour and presents a show every Sunday on Heart FM. Joining Donovan in the cast, Martin Kaye plays Jerry Lee Lewis. Martin played the role on the first North American tour of Million Dollar Quartet, which, after a year and a half, led him to open the Las Vegas Production at Harrah’s. Robbie Durham performs as Johnny Cash Ross, William Wild joins the cast as Elvis Presley, Matt Wycliffe appears as Carl Perkins and Katie Ray is Dyanne. Inspired by the true story of the famed recording session where Sam Phillips, brought together icons Johnny Cash, Carl Perkins, Jerry Lee Lewis and Elvis Presley, MILLION DOLLAR QUARTET will play Sheffield Lyceum, Nottingham Theatre Royal, Malvern, Birmingham Hippodrome, Edinburgh Festival Theatre, Leeds Grand Theatre, Glasgow King’s Theatre, Southampton Mayflower and Bristol Hippodrome. MILLION DOLLAR QUARTET includes more than 20 legendary rock ‘n’ roll hits, includingBlue Suede Shoes, Hound Dog, I Walk The Line and Great Balls of Fire. Million Dollar Quartet is written by Tony Award nominees Colin Escott and Floyd Mutrux and produced by Simon Friend, Mark Goucher, Tom O’Connell, Laurence Myers and Gavin Kalin. Olivier nominated Ian Talbot OBE, renowned for his tenure as both Artistic and Managing director at The Open Air Theatre in Regent’s Park directs. Don't miss your chance to be a fly on the wall of fame and history, and join in the celebration... at MILLION DOLLAR QUARTET!